International Desk: More than 100 bodies have been found so far after a ferry sank in Lake Victoria on Thursday, Tanzania's state radio TBC Taifa said today, while hundreds more were feared missing as rescuers resumed searching for survivors at first light. 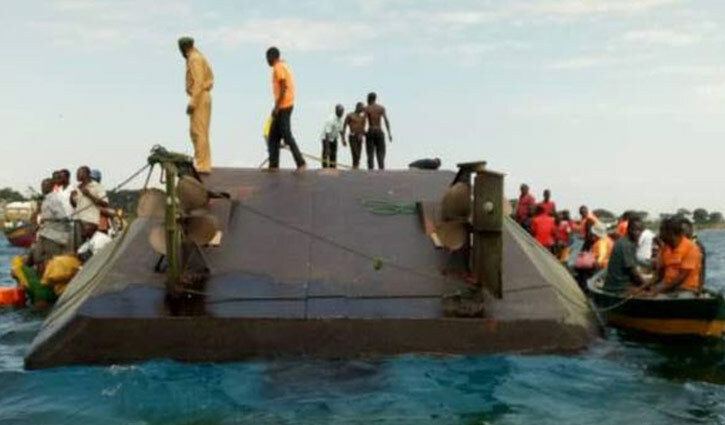 The higher death toll was given to the Citizen newspaper by John Mongella, regional commissioner for the port of Mwanza on the coast of Lake Victoria, where the MV Nyerere sank on Thursday afternoon. Initial estimates suggested that the ferry was carrying more than 300 people when it went down on Thursday afternoon, just a few metres from the dock on Ukerewe, the lake's biggest island, which is part of Tanzania. Thirty-seven people had been rescued from the sea, Jonathan Shana, the regional police commander for Mwanza, told Reuters by phone on Friday.